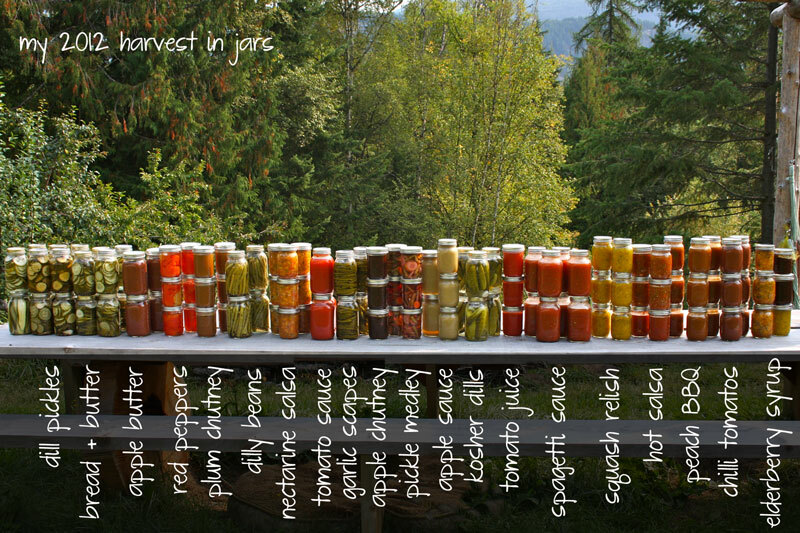 Canning 101 | eating with S.O.L.E. So you want to get canning? Great! I would encourage you to do so, but it’s really important to be safe about it, cause yip it’s true you could kill someone if your not, and the last thing you want to do is put a bunch of time and energy and resources into making something super tasty and deadly! 1st use only trusted and modern sources for recipes. Recipes from more than 20 years ago are no longer considered safe, as many old fashioned canning methods don’t ensure that jar contents reach the necessary temperature to kill of the bacterias that can kill us! Avoid oven processing, and sunshine processing and low temperature water bathing, or any other obscure methods which don’t involve placing your filled hot jars into a rapidly boiling water bath / or a pressure canner for a period of time. 2nd know your elevation, most recipes are written for canning from sea level to 1000ft… I live at about 1800ft which means I have to add 5 minutes of processing time to most every recipe. 3rd HOT HOT HOT, CLEAN CLEAN CLEAN! Everything needs to be sterilized (not just washed and cleaned) but boiled or kept in a warm oven 250° for over 20 minutes after a super squeaky hot scrub. Your tools, your work surface, your food items, everything should be clean! 4th Don’t substitute items in a recipe, sure you can swap out one type of vinegar for another, but you don’t want to add carrots to a spaghetti sauce and then throw in some zucchini! Why? because safely canning is all about using acid to fend off bacteria. Some veggies are more acidic than others, and some veggies you might think are really acidic, like tomatoes, are actually considered borderline acidic, and the differences from one varieties to another are huge! There is a fine balance between what is safe and what isn’t, so ensure you follow a canning recipe precisely especially for things like salsa and tomato sauces. Things like fruit jams and pickles are considered less risky, because of the amount of acidic in the brine and in most fruits. 5th Ensure you have everything you need BEFOR you start! From ingredients to equipment to time! Processing take s a good amount of focused time, and some serious multitasking various pots-a-bubbling. You’ll need some basic (yet affordable) equipment on hand. There are canning tool kits you can get at most hardware / department stores, they usually have a lid magnet wand, a pair of can grabbers (no idea what this tool is technically called), a ruler for measuring head space (an often overlooked detail in canning that is important), and a wide mouth funnel… these usually sell for about $14 and will save you no end of time and mess. You also need to have a big deep pot that can boil water at a level 2″ higher than your largest jar. And for making jam and chutneys you want a second HEAVY BOTTOMED good quality big ‘ol pot. I don’t recommend a cheap aluminum or flimsy stainless pot or your endlessly scorch your preserves. Have Fun, and hey call on a friend, borrow a baba, ask an auntie or knock on a neighbors door.. there are lots of closet canners out there just waiting to share this skill with you! Oh and my last tip for you… don’t make jelly on a cloudy day! And be sure to check out all my putting up recipes under the Growing & Preserving Category!